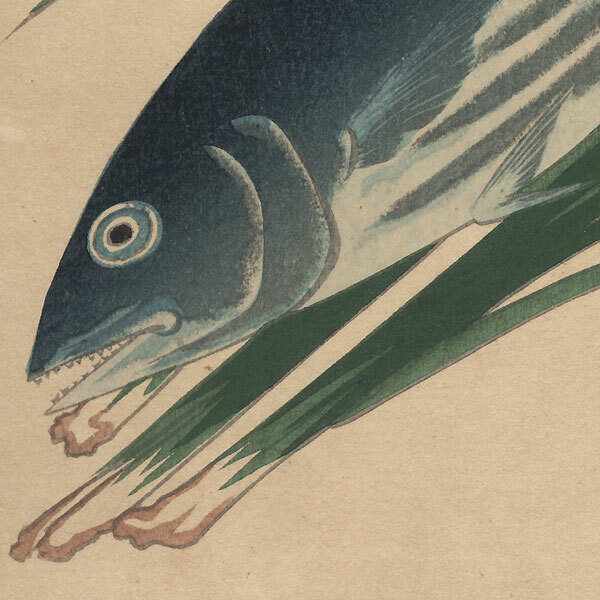 Comments - Nice nature print of a fish set against a spray of slender green leaves two iris blossoms in blue and white. The petals of the white flower are not outlined, but are delicately embossed, an interesting detail. A handsome composition. Image Size - 14 5/8" x 6 1/2"
Condition - This print with excellent color and detail as shown. Please see photos for details. Generally in good condition overall.